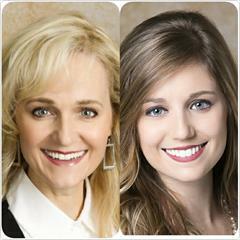 Meet Cindy Crain and Amanda Lough! Clients of Crain & Lough’s say, “They are exceptionally helpful and always looks out for their clients.” They feel this partnership has incredible qualities as real estate professionals, demonstrating; kindness, honesty and patience at all times. Clients appreciate their positive personality; their helpful home tip advice and are comfortable referring Crain & Lough to their friends or family. They feel at ease throughout the entire process and note these women are always accommodating to their needs. Crain & Lough are full time Realtors ready to work with buyers and sellers today. We are never too busy for your referrals!